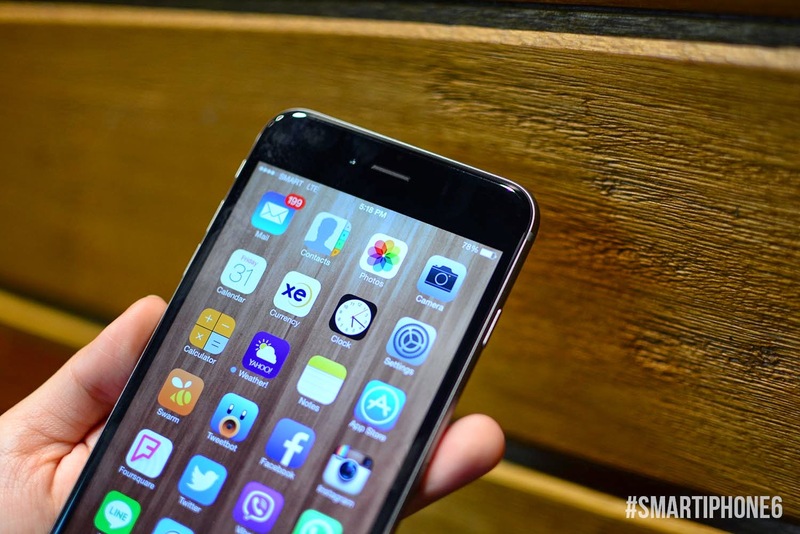 Christmas comes early as Smart Communications, Inc. recently announced that they are ready to accept pre-orders for the amazing iPhone 6 and iPhone 6 Plus just in time for the holiday season!  The two devices are now available for pre-order and will be available on November 14, 2014. As always, Smart is stepping it up a notch by offering exciting perks and privileges for those who are availing the new iPhone devices. Read on and know everything that you need to know about the Smart iPhone 6 and 6 Plus. Starting last Friday, November 7, users interested in getting their hands on Apple’s latest smartphone devices can visit Smart’s pre-order page (www.smart.com.ph/iPhone) to order the iPhone device that they want. The iPhone 6 (16GB) is being offered starting at Smart Postpaid Plan 999, with P800 monthly cash-out or a total of P1,799 per month. The iPhone 6 Plus (16GB), meanwhile, is also available starting at Plan 999 with P1,050 cash-out every month, or P2,049 per month. Both iPhone offers come with FREE all-net texts, all-net calls plus consumable data every month which can be used for video and music streaming, file uploads, and downloads, and chatting. 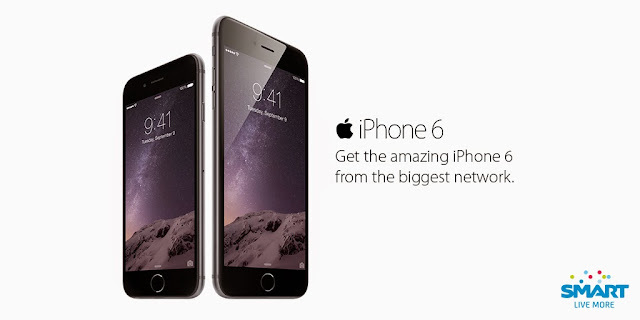 All pre-ordered devices can be claimed on November 14, 2014. 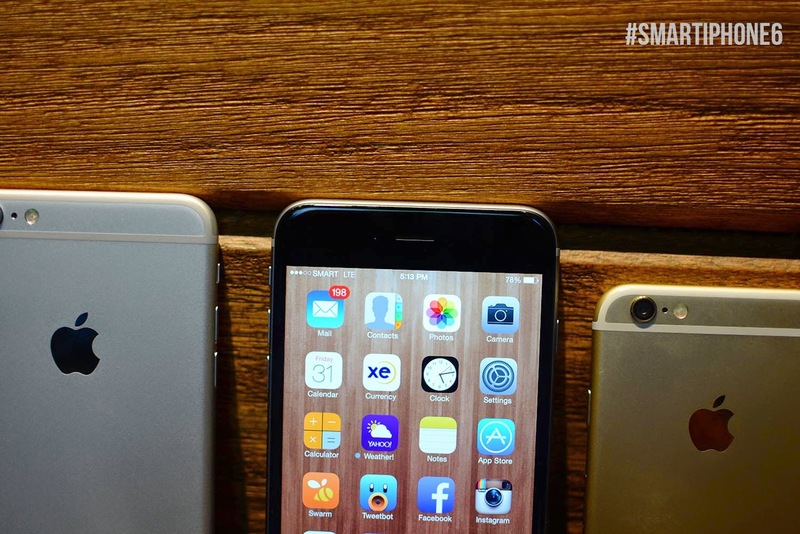 “We know many Filipinos are keenly anticipating the arrival of the iPhone 6 and iPhone 6 Plus, and the good news is they can now get these bigger iPhones from the country’s biggest mobile network. Subscribers can enjoy surfing the Internet, taking photos, downloading apps or playing games on the new iPhones that are now powered by Smart’s expansive coverage nationwide,” - Kathryn Carag, Postpaid Marketing Head at Smart. 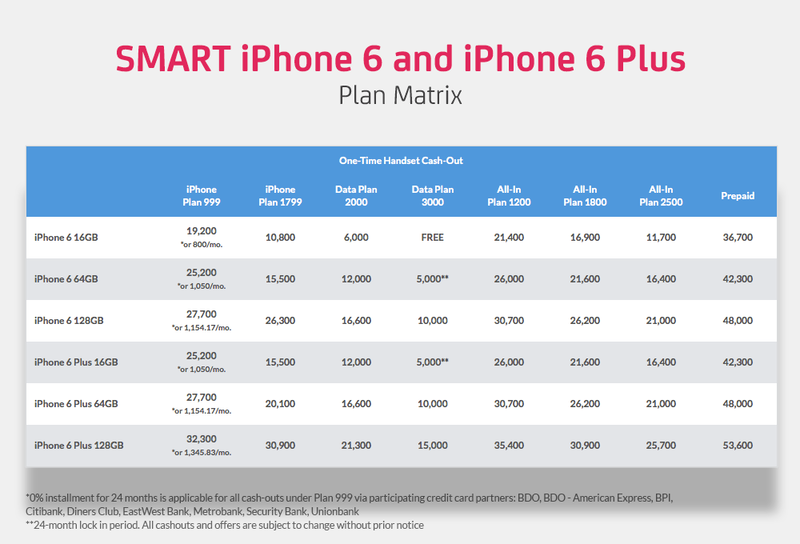 Existing subscribers who want to upgrade to the new iPhones can do so with the help of Smart’s Wipeout promo, which allows them to “wipe out” their existing contracts as long as they have less than 20 months left on their contracts. Corresponding discounts on the wipeout fee will be applied depending on the number of remaining months in the contract. Additionally, every subscriber that avails of the wipeout promo can get FREE 1-year handset insurance on their new iPhones for repair and replacement of the units in case of accidental damage or loss. For more information, visit smart.com.ph/wipeout. 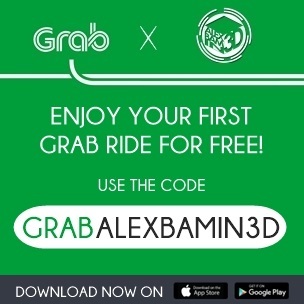 For subscribers who want to check out or claim their new devices on November 14 to 16, Smart will take care of your ride to and from selected Smart stores absolutely free using the Uber app. Just book a ride and enter the SMARTIPHONE6 promo code to get a ride without any cost. A special lane is also dedicated for you in their stores. Additionally, for a limited time, postpaid subscribers who got the new devices will be able to choose their own mobile numbers, available on a first-come, first served basis. Free movies through Blink will also be available on their mobile devices. Smart Infinity subscribers and those planning to subscribe to the service will experience enhanced perks and privileges exclusive to the brand. Interested users may already signify their interest for the iPhone 6 or the iPhone 6 Plus through the Smart Infinity website http://www.smart.com.ph/infinity/iphone6 or the Smart Infinity New Membership Hotline at 848-8806. 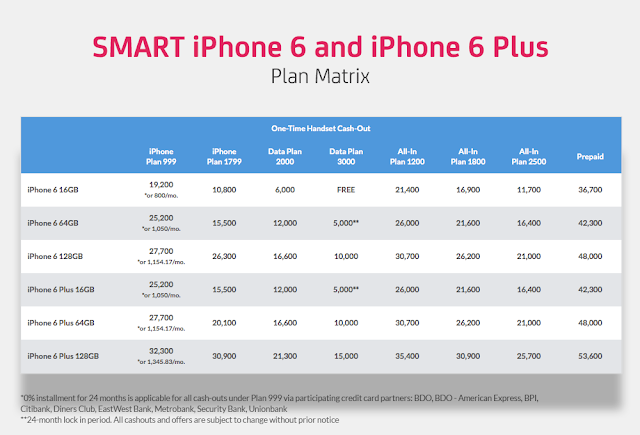 New members may receive the iPhone 6 (64GB) and the iPhone 6 Plus (16GB) compliments of Smart Infinity starting on their fully consumable Prestige Plan 5000. On the brand’s fully consumable Premium Plan 8000, new members receive two 16GB units of the iPhone 6 or an iPhone 6 16GB plus a MacBook Air. Smart Infinity members will also get first dibs on the bigger and better iPhones via an exclusive, by-invitation-only midnight event on November 13 in Metro Manila, Cebu, and Davao, where they also stand a chance to enjoy premium prizes, gourmet food and great entertainment all through the night. Infinity Relationship Officer - Members have their very own account manager, whom they can directly call for concerns regarding their Smart Infinity account. 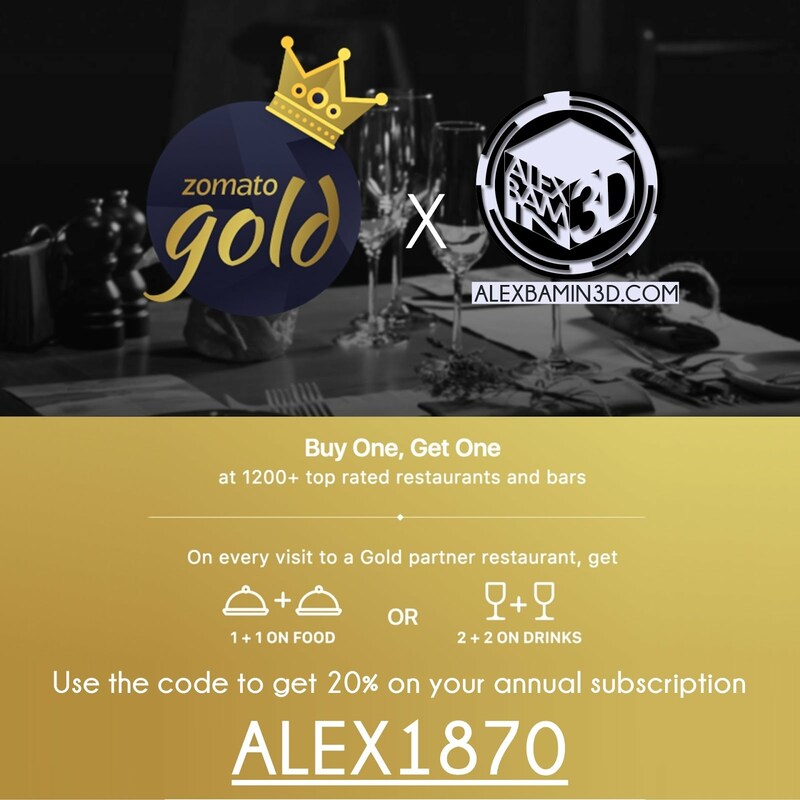 This service is exclusive to Prestige Plan 5000 and Premium Plan 8000 members only. Priority Hotline & Smart Store Service - Members enjoy the privilege of having an exclusive 24/7 dedicated call-in service. Smart Infinity Worldwide Concierge - Smart Infinity fulfills both mobile needs and lifestyle needs as well. Members simply call the concierge for dining reservations, gift deliveries, travel bookings, business services and more, here and abroad. Smart Infinity Lifestyle App - Access your Smart Infinity services, privileges, account information and international roaming rates with a just a touch. The iPhone 6 (16GB) is also available compliments of Smart Infinity on their fully consumable Prestige Plan 5000 with a choice of P5,000 worth of gift certificates or a monthly service fee credit worth P5000. The iPhone 6 Plus (64GB), meanwhile, is available at Infinity Premium Plan 8000 with a choice of P16,000 worth of gift certificates, or a P16,000 monthly service fee credit.